The people who migrated to America in the 1600s from Ireland, Scotland, and England brought with them the basic styles of music that are generally considered to be the roots of bluegrass music as it is known today. As the Jamestown settlers began to move out into North and South Carolina, Tennessee, Kentucky, Virginia, and West Virginia, they wrote songs about day-to-day life in the new land. Since most of these people lived in remote areas, the songs reflected life on the farm or in the hills. This music was referred to as country music or mountain music. The invention of the phonograph and the onset of radio in the early 1900s brought this music out of the mountains and into the homes of people all over the United States. The Monroe Brothers were one of the most popular acts of the 1920s and 1930s. Charlie Monroe played the guitar, Bill played the mandolin, and they sang in harmony. When the brothers split in 1938, both went on to form their own bands. Bill was a native of Kentucky, the Bluegrass State, and he eventually adopted the name “Bill Monroe and the Blue Grass Boys” for his band. This band started a new form of “traditional” country music. Bill Monroe and his Blue Grass Boys first appeared on the Grand Ole Opry stage in 1939 and soon became one of the most popular touring bands to emerge from Nashville’s WSM studios. Bill’s band was different from other traditional country bands because of its hard-driving and powerful sound that used traditional acoustic instruments and featured distinctive vocal harmonies. 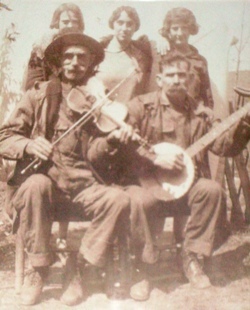 The music incorporated songs and rhythms from string band, gospel (black and white), black laborer work song, country, and blues music repertoires. Vocal selections included duet, trio, and quartet harmony singing in addition to Bill’s powerful “high lonesome” solo lead singing. After experimenting with various instrumental combinations, Bill settled on mandolin, banjo, fiddle, guitar, and bass as the format for his band. While many fans of bluegrass music date the genre to 1939, when Monroe formed his first Blue Grass Boys band, most believe that the classic bluegrass sound came together late in 1945, shortly after Earl Scruggs, a 21-year-old banjo player from North Carolina, joined the band. Scruggs played an innovative three-finger picking style on the banjo that energized enthusiastic audiences and has since come to be known as “Scruggs style” banjo. Equally influential in the classic 1945 line-up of the Blue Grass Boys were Lester Flatt, from Sparta, Tennessee, on guitar and lead vocals, Chubby Wise, from Florida, on fiddle; and Howard Watts, also known by his comedian name “Cedric Rainwater,” on acoustic bass. In the 1960s, the concept of the “bluegrass festival” was first introduced, featuring bands on the same bill that had previously seemed to be in competition with each other for a relatively limited audience. Carlton Haney, from Reidsville, North Carolina is credited with envisioning and producing the first weekend-long bluegrass music festival, which was held in Fincastle, Virginia in 1965. The availability of traditional music broadcasting and recording, nationwide bluegrass festivals, and movie, television, and commercial soundtracks featuring bluegrass music have helped to bring the music out of obscurity. 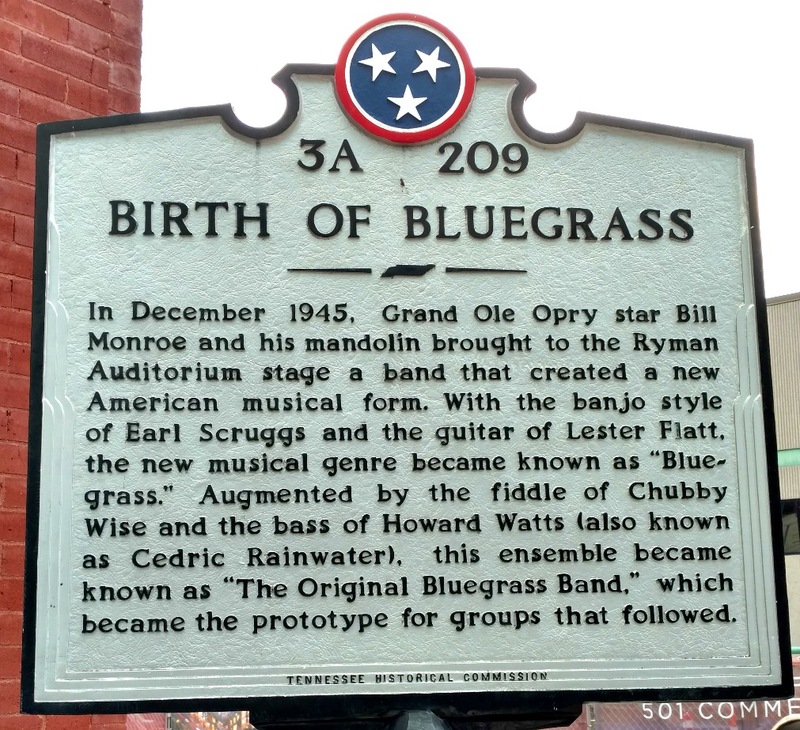 Lester Flatt, Earl Scruggs, and the Foggy Mountain Boys achieved national prominence with tour sponsorship by Martha White Flour and for playing the soundtrack for the previously mentioned film Bonnie and Clyde as well as through the Beverly Hillbillies television show. The soundtrack to the movie Deliverance also featured bluegrass music, specifically Dueling Banjos, performed by Eric Weissberg on banjo and Steve Mandell on guitar. The Nitty Gritty Dirt Band’s Will the Circle Be Unbroken triple LP set, released in 1972, introduced artists like Earl Scruggs, Doc Watson, Jimmy Martin, Maybelle Carter, Roy Acuff, and others to pop music fans and brought the authentic sounds of bluegrass and traditional country music to new audiences. In 2001, the triple-platinum soundtrack for the Coen Brothers movie, O Brother, Where Art Thou?, helped to attract even wider audiences to bluegrass music. Bill Monroe passed away on September 9, 1996, four days before his 85th birthday. In May 1997, he was inducted into the Rock and Roll Hall of Fame because of the profound influence of his style on popular music. He is also a member of the Country Music Hall of Fame and the Bluegrass Music Hall of Honor. 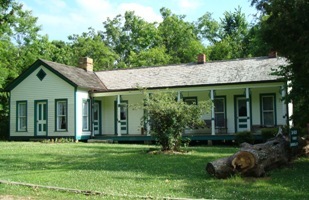 A picture of Bill’s childhood home in Rosine, Kentucky, which has been restored and is open for touring, appears above. Bill’s uncle Pen, for whom he named a well-known bluegrass song, appears with a fiddle in the picture above right. Bluegrass music is now performed and enjoyed around the world. The International Bluegrass Music Association claims members in all 50 states and 30 countries. 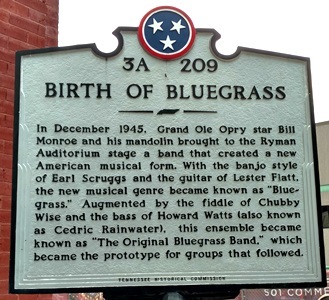 In addition to the classic style born in 1945 that is still performed widely, bluegrass bands today reflect influences from a variety of sources including traditional and fusion jazz, contemporary country music, Celtic music, rock & roll (“newgrass” or progressive bluegrass), old-time music, and Southern gospel music. 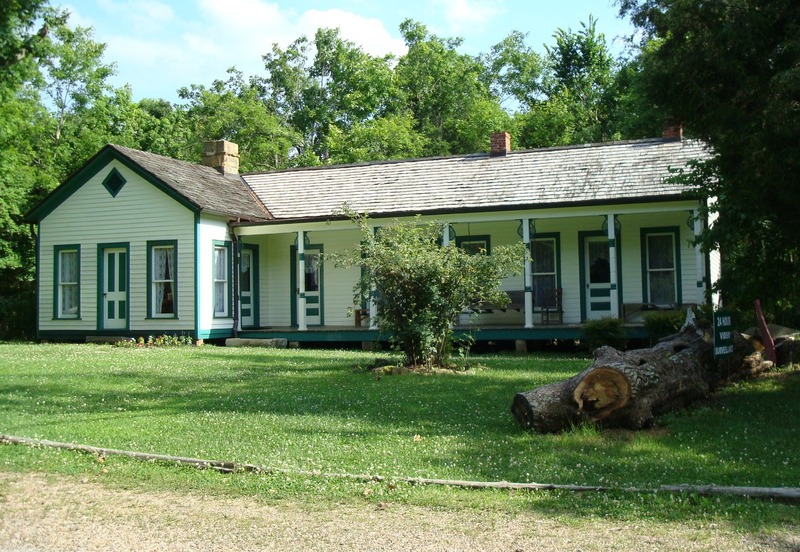 Portions of this history are courtesy of International Bluegrass Music Association, the International Bluegrass Music Museum, and Alan W. Tompkins. More information can be obtained at Wikipedia.com.